The following is a list of topics and their presenters. This list will be continually updated as NARCON draws near, check back often. This schedule is current as of February 28, 2019. 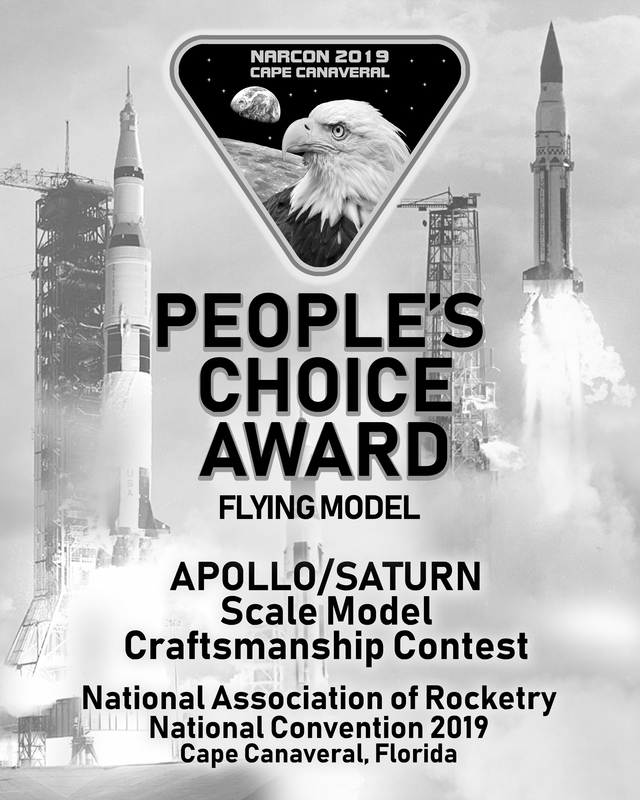 We’ll be hosting an Apollo Saturn Scale Model Contest (static model craftsmanship judging only). Bring your best Apollo or Saturn and show your modeling skills. Model rockets, plastic models, even LEGO models are welcome. Prizes and awards for Best of Show and People’s Choice! Friday Special Event—We’ve secured a limited number of complimentary Kennedy Space Center Visitor Complex passes. If you’re registered, please check your email for a NARCON note from patrickmccarthy@bellsouth.net to find details on this bonus opportunity. Saturday Luncheon with Apollo Veteran Workers— An August group consisting of Lee Solid, John Tribe, Charlie Mars, Roy Tharpe, and Bob Sieck. (Do a Google search on their backgrounds and history as it is much too long to list here!) They’ll have great recollections about their work on the Mercury, Gemini, Apollo and Space Shuttle programs. Saturday Meet The Astronauts Banquet—We’re delighted to announce that among our astronaut special guests will be Col. Al Crews (USAF, Ret. ), an X-20 Dyna-Soar pilot and Manned Orbiting Laboratory participant, telling us about his experiences on these historic programs. To see a fascinating chapter in space history and learn more about Col. Al Crews in the MOL Program, see the PBS Nova episode: Astrospies – https://www.youtube.com/watch?v=m2K6HHUbUe0. Bob Cabana (Col. USMC, Ret. ; STS-41, 53, 65, 88) retired astronaut and current director of NASA’s Kennedy Space Center, is scheduled to be our emcee for the evening. Also scheduled to join us will be astronauts Andrew “Andy” Allen (STS-46, 62, 75) and Sam Durrance (STS-35, 67) to regale us with tales of their spaceflight experiences. We’re planning an informal “fireside chat” with our four astronaut guests. Vendor Room Open 8:00 a.m. – 6:30 p.m. Scale Model contest entries drop-off no later than 8:30 a.m. Morning Technical Sessions 8:00 a.m. – 11:45 a.m. Luncheon and Apollo Old Timers Panel 11:45 a.m. – 1:45 p.m. Afternoon Technical Sessions 2:00 p.m. – 6:00 p.m.
Reception/Social Hour 6:00 p.m. – 7:00 p.m.
Banquet and Astronaut Panel 7:00 p.m. – 9:00 p.m. Scale Model pick-up no later than 10:30 p.m.
Late Night at NARCON 9:00 p.m. – 11:00 p.m.
Cape Canaveral Air Force Station motor coach tour 9:00 a.m. – 2:30 p.m. (departs from and returns to the Radisson)* Bus Tour registration is now closed. We have arranged for three busses and three great tour guides to entertain you with insider stories and detailed history of CCAFS. *Subject to change due to operational restrictions. Additional tour events may be added pending KSC/CCAFS operational availability.